The recent post about Wolf received such great feedback, I thought I’d dig up another cool bass player photo. You know what they say about positive reinforcement. It works. Thanks for checking out my work. This photo was taken the first time I saw Kanekoa — one of my favorite bands. 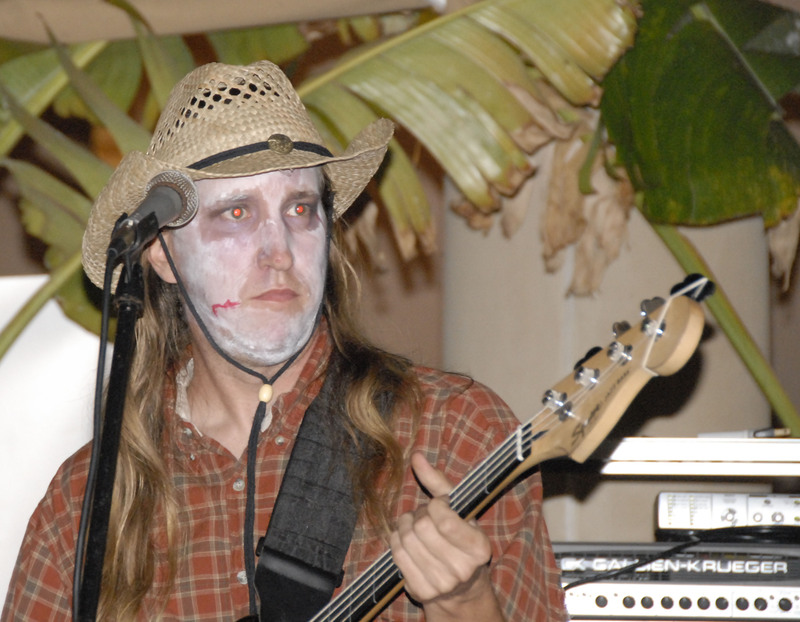 It was Halloween 2010 at Longhi’s in Wailea. Shawn Michael was particularly wicked on the bass that night. Boo!